Improve your swing at our driving range, putting green, chipping area, pitching area, and practice bunker, all of which are lit in the evenings. Range balls can be purchased in the golf shop. 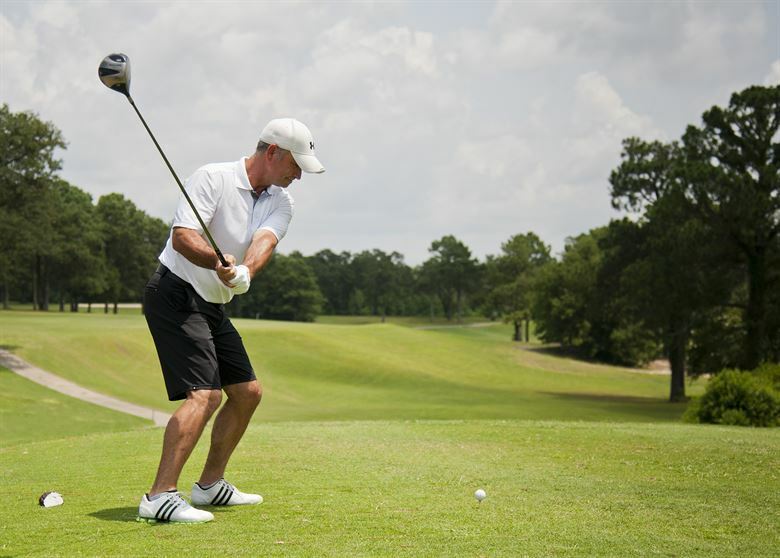 Just improving your golf swing can help you improve you game tremendously. No pressure, just practice. After enough practice you are ready for the course. Par for the course.